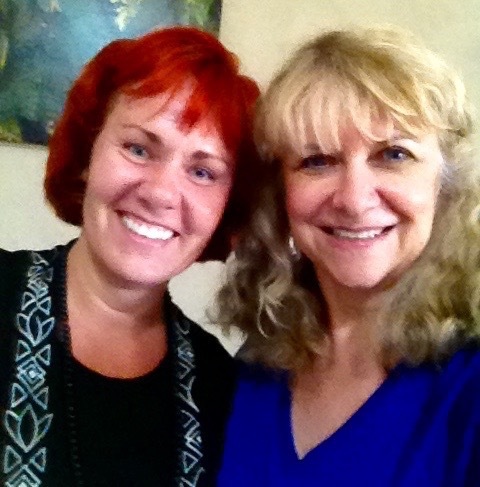 I recently participated in a professional Ayurvedic consultation with Tanja Burgardt-Price. This article provides information on the in-depth learning I experienced with her. I have taught Yoga at three different Tucson venues where Tanja has also offered her services, and yet until recently, we hadn’t had the chance to connect. I know many of you will enjoy learning about Ayurveda from her as much as I have. She is a GEM! It is a great way to learn how to honor and embrace our unique self. It teaches you tools to be in balance in body, mind and spirit to be a true happy and healthy individual. Ayurveda—literally, “knowledge of life”—is a 5,000-year-old system of natural healing originating in the Vedic culture of India. Its goal is to help individuals regain their natural, optimal health through the proper balance of the five classical elements of ether, air, fire, water, and earth. Ayurveda accomplishes this through the use of herbs, food, colors, aromas, lifestyle changes, yoga, and meditation, along with other five-sense therapies. What is Ayurvedic personal constitution and Doshas? In Ayurveda, the five elements combine in different ways to form the three doshas, or mind-body types: Vata, Pitta and Kapha. Your fundamental constitution, or prakruti, is a unique blend of the three doshas that was determined at the moment of conception and will remain constant throughout your life. Your constitution determines how you react to various foods, colors, aromas, and general life habits; it also determines what will cause you, in particular, to become out of balance, sick, and diseased. Knowledge of your constitution, and how to live in harmony with it, is essential to developing optimal health. What can be learned from a consultation with you? Once an individual’s unique constitution (Prakruti) and imbalances (Vikruti) are understood, specific treatments are designed for that individual to ensure their optimal health and well-being. My intake with a client is very thorough and takes about 2-3 hours. This process helps identify key symptoms and potential causes of imbalance and determines suitable treatment options. Be prepared to talk about yourself; including questions about daily diet, professional and working conditions, exercise routines, relationships, and mental health. In addition to consultations, I offer abhyangas (Ayurvedic warm herbal oil treatment), and read your pulse and tongue. At the Report of Findings, you will find out your prakruti (constitution), vikruti (imbalances), your state of ama (toxins), agni (digestive fire, ojas (immune system), prana (life force), with follow up visits encouraged. I am happy to share that Ayurveda has helped many of my clients with a large variety of diseases and imbalances, anything from chronic candida, gallbladder and liver disease, anxiety, depression, grief, overwhelm, PTSD, digestion imbalances from constipation to GERD, infertility, rashes, acne, recovering from surgeries, arthritis, hair loss, any many more. Tell us about your business and how we can learn more? My husband and I are Ananda Ayurveda and Yogalish in Tucson. Fablous Tanja and Bill during an Illinois camping trip. Such great positive energy! I offer Ayurvedic consultations with a minimum of two meetings (described above, $175 for both). My husband Bill, a Panchakarma therapist, and I are also very active in educating people on Ayurveda. We do many lectures, workshops and cooking classes: anything from doctors at the U of A Integrative Medicine program, yoga studios as part of a yoga teacher training, to wellness centers, holistic centers and kitchens all over the country. Check out our website to learn more. Tell us about yourself and the places you’ve lived? I was Born in Frankfurt Germany, moving to Seattle in 1992. I’ve lived all over the US, but lived the longest (10 years) in Highland Park, Illinois, a suburb of Chicago with my husband Bill. We moved to Tucson in November 2014 and we love it here. Who have been your mentors or teachers? I did my Yoga teacher training at Moksha in Chicago, IL under Daren Friesen. He inspired me to do a two year Iyengar yoga apprenticeship with Gabriel Halpern . Daren also encouraged me to go to India to explore Ashtanga Yoga and Ayurveda. There I had the strong but very loving and compassionate teacher Saraswathi Jois (Pattabhi Jois daughter) who taught me how to be a better teacher and student. In the U.S. I became a certified Ayurvedic Practitioner under the guidance of my teacher Amanda Joy Lyon, who is a Clinical Ayurvedic Specialist and Panchakarma Specialist and an all around inspiring person and loving teacher. What brought you to Tucson? After a career transition, my husband Bill and I had great opportunities brought to us, but we were willing to wait for the perfect one. Bill got a great job offer from a hospital in Tucson. Once we looked into Tucson, it seemed like the perfect fit for us. Contact Tanja and Bill! To learn more about yoga breath work, click here. Bonnie’s yoga class schedule here. What impresses me from Bonnie after the first yoga class I took with her is her serenity, deep knowledge of the human body, the desire to help others to improve their mobility, bone strength and balance. Every time I take her class, I feel rejuvenated. I followed Bonnie from another yoga studio and she is one of the greater yoga teachers I have ever met. I admire that you ease everyone into each posture, instead of speeding through the lesson. I love Bonnie’s classes! Anything you need help with or if something feels out of line, she will help you. She teaches you to become aware of your body and mind so you yourself can take her teachings and help yourself in the real world. I cant say enough about Bonnie. She guided every move in a fluid manner and simply said the name of the position while we completed the move. It was a very calming, motivating, and a wonderful experience. I cant wait until next week! Thank you Bonnie for introducing me to yoga. Yoga for Equestrians…and Yoga Tune-Up® Balls for their Horses! Yoga With Bonnie, Tucson, AZ | (520) 870-9287|© 2019 All Rights Reserved. | Photos: Norm Golden & Desiree Mease Photography. Website: Go Web Solutions.